Five speakers each doing an inspirational talk, musical entertainment, audience interaction, giveaways and always a surprise or two! 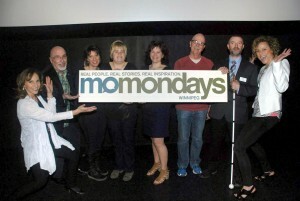 That’s why momondays is a like a variety show bouncing off the walls of personal story-telling. Steph’s hosts and produces this ever changing, but always motivational show, every 6 weeks or so in Manitoba. If you have a feeling this concept would be a great fit for your organization or community let’s talk about it, maybe she can bring a mo-show to you! The experience of real stories, real people and real inspiration, plus musical entertainment, plus some of the nicest people you will ever meet culminate in an event that will be remembered for a long, long time!